This continuous band vacuum sealer equipped with a nitrogen gas flush system for creating high quality moisture proof, oxygen free packages. It is ideal for customers that require higher capacity output than impulse vacuum sealers. Typically, customers requiring more than 10 bags a minute find a greater return on investment by choosing a continuous band vacuum sealer. Our satisfied customers include producers of coffee, snacks, pre-baked goods, electronics, medical products, and fresh or dried food, produce and meat. The vacuum and nitrogen gas flush system removes oxygen and creates a moisture-free package, resulting in longer shelf life, product integrity, and protection against discoloration. 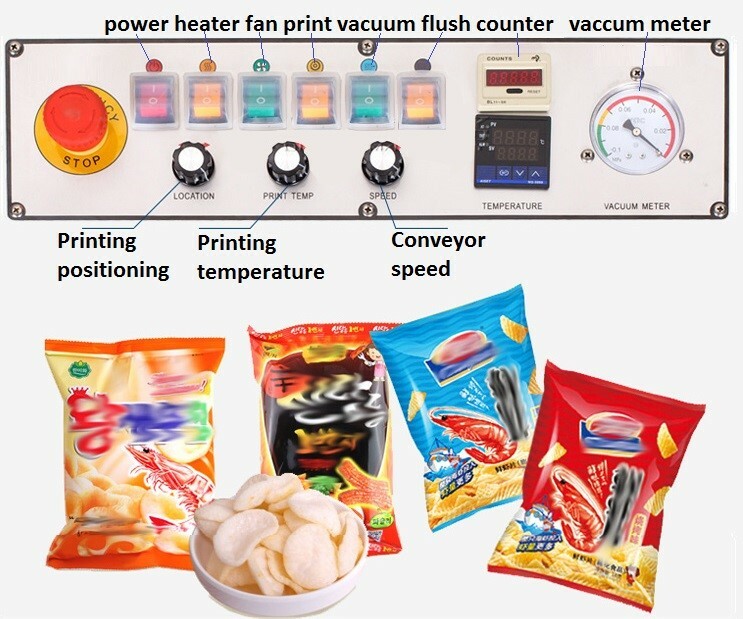 For snack products a gas flush only system can create a cushion-like buffer against damage.